Hey there all you TAYers, Ani-TAYers, and everyone else who has stumbled across this post. 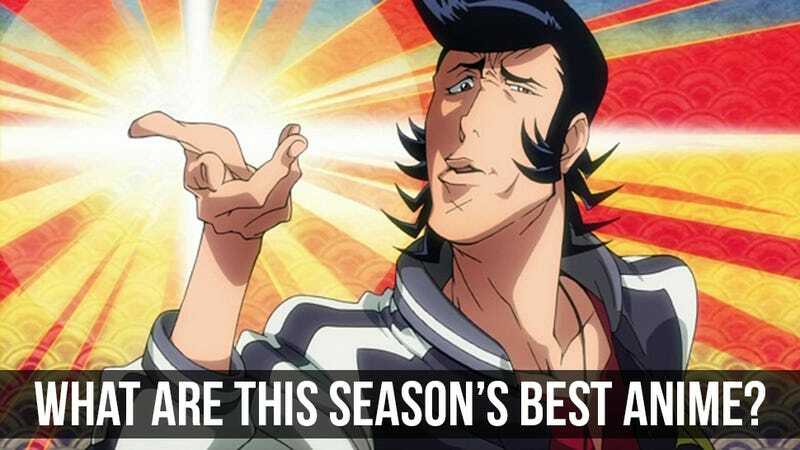 Kotaku East's Richard Eisenbeis here with one question for you: What Are the Best Anime of Winter 2014? As with past seasons, I will be publishing a mid-season winter anime guide detailing the anime you should be watching (and why) over on Kotaku. But before I do that, I come before you to ask you to help me narrow down which anime I should watch in preparation for this article. Of course, I am watching more than a few anime myself already, but there is always the very real possibility that a few really great gems have been able to slip under my radar—there are 47 new anime after all. In the past, your votes and recommendations have been an excellent guide, so I hope you’ll all help me again. All you have to do is vote for the anime you think are among the best the season has to offer in the poll below. Vote for as many of them as you want—not just one. Or hell, even if it looks interesting but you have yet to watch it, that’s good enough for a vote too. And please feel free to tell me why you chose the shows you did in the comments below (this really helps).